Pickups for this tour commence at 7:45am. You will be notified of your exact pickup time closer to the date of travel. There are no upgrade options available on this tour. 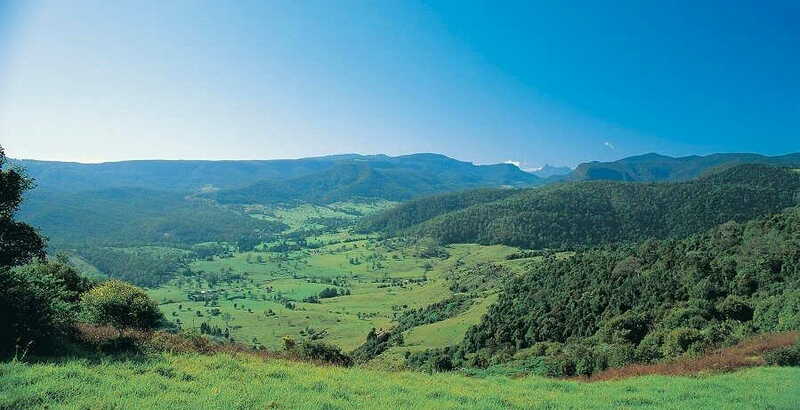 Discover the charming beauty of the Gold Coast Hinterland on our 1 Day Natural Arch & Springbrook Tour. Explore the tropical rainforest and its stunning waterfalls and discover its off-beaten tracks as you learn about the ecology of this unique environment. You’ll be amazed by the diversity and uniqueness of this fascinating ecosystem. 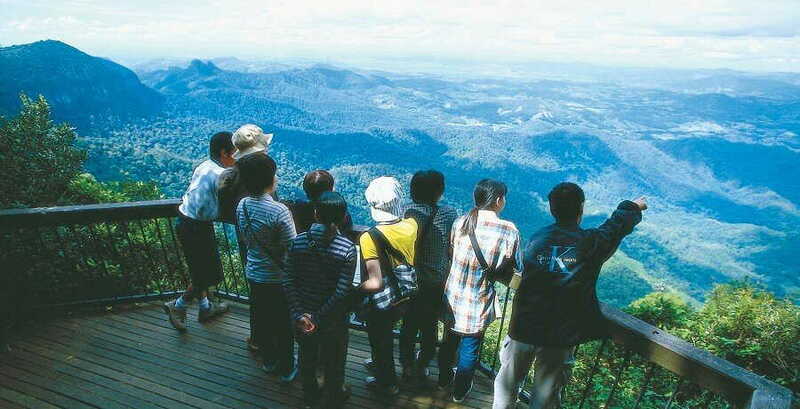 We leave the coastal city of the Gold Coast behind and journey to the Gold Coast Hinterland, towards the majestic World Heritage Springbrook Mountain. Our first stop is the Natural Arch Bridge Circuit – a sealed circuit track that takes you to the lush forest and to the famous Natural Arch Bridge. 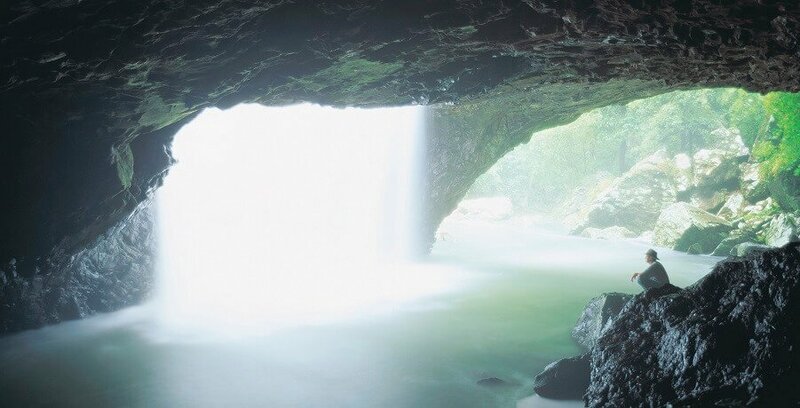 Discover the natural arched cave and its cascading waterfalls, if you’re lucky, you may even get the chance to get a glimpse of the rare and fascinating glow worm creatures. 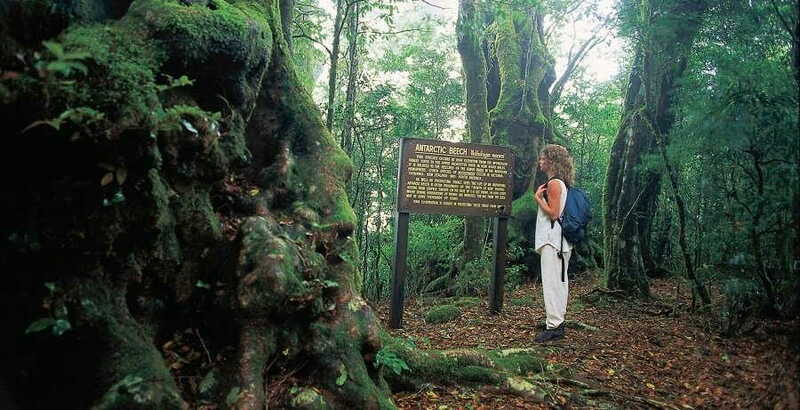 We’ll continue our journey to the Best of All Lookout, with another guided rainforest walk. Your friendly guide will share with you their comprehensive knowledge of the region and its history. When you’re exploring the park, keep an eye out for rare plants and bird species as we arrive at the lookout. Be impressed by the amazing panoramic views of Tweed Shield Volcano, Mt Warning and the coastal city of Byron Bay from afar. 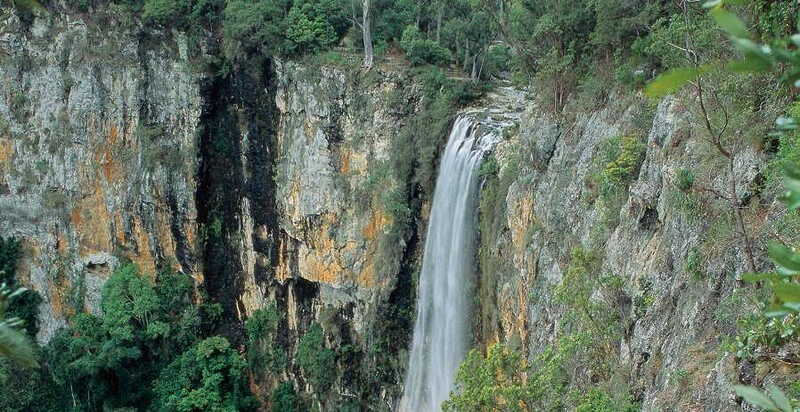 We’ll stop for lunch at a locally owned restaurant in Springbrook, before continuing our exploration of this majestic national park with a stop over to Purlingbrook Falls Lookout. Your guide will accompany you on a walk to discover the spectacular waterfalls and ancient waters that surrounds this region. This spectacular walk is followed by a visit to our last waterfall, Goomoolahra Falls, to see this magnificent falls and picturesque scenery overlooking the city and surf beaches of Surfers Paradise. Our 1 Day Natural Arch and Springbrook National Park Tour will introduce you to the beauty of this amazing tropical paradise. 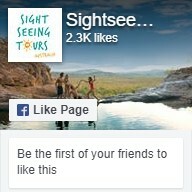 Be sure to book your tour with us today!